Got Questions About Switching Practice Areas? Ask Away! The following is a guest blog post by Laura Boysen-Aragon, a former practicing attorney and now a legal recruiter at Solutus Legal Search, LLC. Whether you’ve been practicing law for 2 or 20 years, you may reach a point when you want to make a major change in your practice area. Maybe you’ve realized the type of client or the type of work isn’t the right fit, or perhaps the market has changed and you want to try something new. Whatever the reason, if you’re unhappy in your current practice, you can make a change. How can I figure out what it’s really like to practice in this new area of law? You could read an article or crack a practice guide—and you should—but you really need to know what it takes to be successful in a new practice: Are clients looking for fixed fee arrangements? How much will it cost to work up a case or a project? To get this type of information, you need to talk to people. Start with your network of former colleagues and classmates, and then branch out. Do you know anyone who already practices the type of law you want to pursue? Check LinkedIn, maybe a connection or a friend’s connection does what you want to do. Ask to have a phone conversation, coffee, or lunch to talk. Maybe the new practice area has an organized group of practitioners and you can attend one of their meetings or CLE events to learn more and meet the community. Do your homework before one-on-one meetings and events—have detailed questions prepared so that no one’s time is wasted. How do I find a job if I don’t have the relevant experience? This takes time, perseverance, a positive attitude, and humility. First, you need a compelling story. Why are you making the switch? What skill set or experiences will you leverage to be successful in this new area? Remember those people you spoke with to answer question one? Get back in touch with them. Are there temporary positions you can take to get training in this new area, or can you take on cases or projects in your current role that will help you gain experience? The ideal scenario would be finding a mentor to train you, but that could be very difficult, so you’ll likely have to apply for several jobs or go out on your own to make this transition work. Being flexible on compensation and title as you transition to something new will make you a more compelling candidate. How can I set myself up for success in this new career? Learn the law: Attend CLEs, put in the time to learn the practice, and work toward becoming an expert. 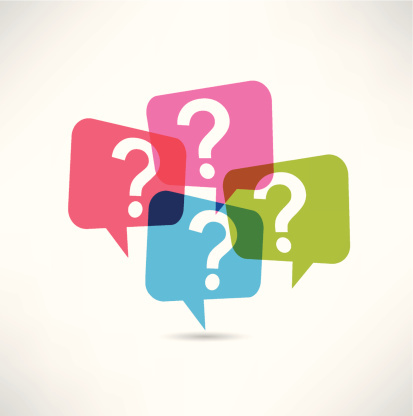 Continue to build a network of practitioners you can rely on to ask questions. Seek out advice and feedback, and be open to the responses you receive. Give yourself at least six months to a year to start to feel comfortable in your new role. Celebrate small victories along the way and learn from your challenges. Want to ask Ms. Boysen-Aragon your own practice transition questions? Leave them as a comment below or in an email to blogQ&A@ceb.ucla.edu. And don’t miss CEB’s The Basics Conference, Sep 20 & 21, 2018 in Santa Barbara—it’s a terrific opportunity to learn the fundamentals of a new practice area and to network. There are four tracks to choose from: Estate Planning, Employment Litigation, Family Law, and Business Law. If you know you would like to move into estate planning practice, check out CEB’s online course Practice Skills │ Estate Planning. And CEB’s California Basic Practice Handbook is a great resource for new practitioners in a wide variety of practice areas.